MobileTrans is the first and the best “phone to phone transfer” tool that let you copy and transfer data from old phone to new phone. It supports more than 2,000 phones including all models of iPhone and all other iOS devices compatible such as iPad Air, iPad Mini 3, iPhone X, iPhone 8, iPhone 7, iPhone 6, iPhone 6S, iPhone 5, iPhone 4S, etc. The tool also works well in Android and Symbian such as Galaxy Note, Samsung Galaxy S6/S7/S8/S9, Google Nexus 5/6, LG G4/G5/G6/G7, Huawei P20/P10/P9, HTC One, etc. With one click, you can directly transfer data between two phones, no matter Android phone (HTC, Samsung, etc. ), Symbian phone (Nokia, Motorola, etc.) or iOS phone (iPhone X/8/7/6/5/4). You can selectively transfer data between any two of them without data loss. 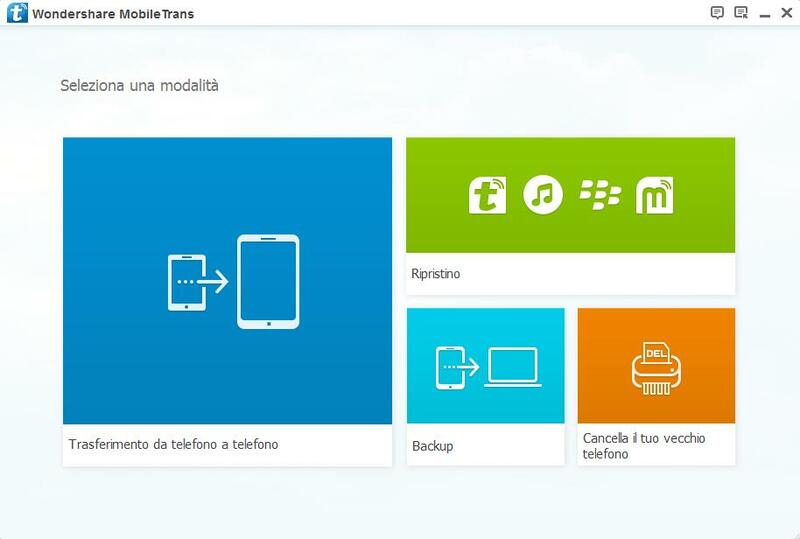 Moreover, Directly transfer from one phone to another, no need of any transfer stop during the process. 100% Risk-Free! > Copy text messages, call log, photos, music, videos and apps between devices with one click. Download now the free trial version of MobileTrans for Windows or Mac OS X.